The motor yacht ADMIRAL 35 is a 35 m 115 (foot) well sized aluminium boat which was manufactured by Cnl (Cantieri Navali Lavagna Amy / Admiral Mariotti Yachts) and concieved by Cantieri Navali Lavagna (Cnl). A well sized superyacht ADMIRAL 35 is a very well designed Italian made yacht which was launched to celebration in 2006. She could be considered a recent superyacht. This balanced superyacht was designed by the naval architecture of Cantieri Navali Lavagna (Cnl). Luca Dini Design was involved in the interior design and styling. The Admiral 35 is part of a line better known as Admiral Mariotti Yachts (AMY), built by Cantieri Navali Lavagna (CNL) in partnership with the T. Mariotti shipyards in Genoa, Italy. CNL offers owners full customization of interiors where the owner can have personal input which is unusual to find as so many of this size are spec yachts. Cantieri Navali Lavagna (Cnl) was the naval architect firm involved in the technical superyacht plans for ADMIRAL 35. Her interior design was completed by Luca Dini Design. Cantieri Navali Lavagna (Cnl) is also associated with the yacht general design work for this boat. 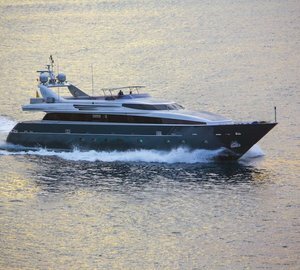 Built by Cnl (Cantieri Navali Lavagna Amy / Admiral Mariotti Yachts) the yacht was built within Italy. 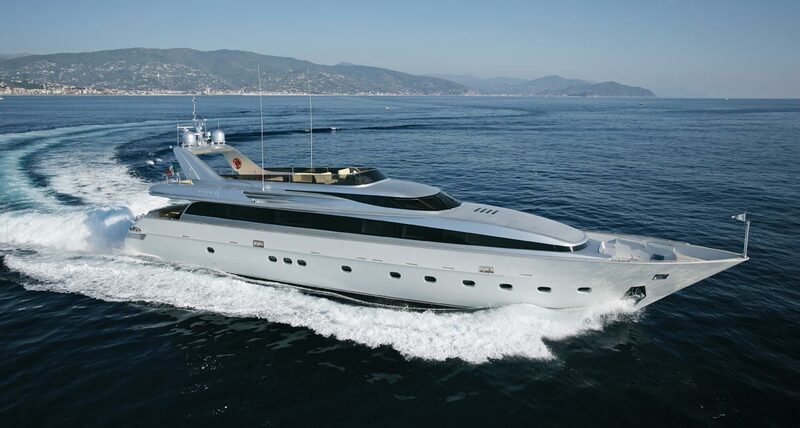 She was officially launched in Lavagna in 2006 before being handed over to the owner. Her core hull was crafted from aluminium. The motor yacht superstructure component is made predominantly from aluminium. 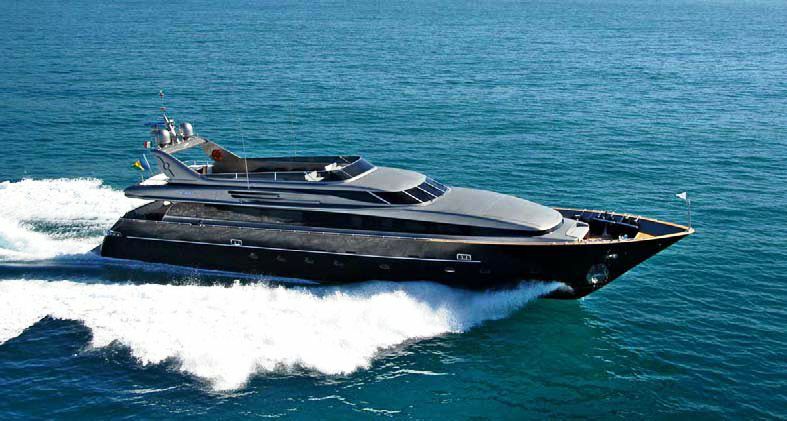 Powered by twin MTU diesel engines, ADMIRAL 35 will attain a high speed of 28 knots. Her propulsion units are twin screw propellers. Her total HP is 5550 HP and her total Kilowatts are 4140. The well proportioned luxury yacht motor yacht ADMIRAL 35 can accommodate a total of 8 guests in addition to 5 qualified crew. Giving the combined power of 5550 HP /4140 KW.